While it appears that this is the 5th book in a series, this really does well as a standalone book. While it is supposed to be a retelling of The Frog Prince, I honestly never had that vibe. Of course, it's entirely possible that it's been too long since I read that particular fairy tale. What I did notice was a very well written book that is perfectly suitable for the teen and up set. 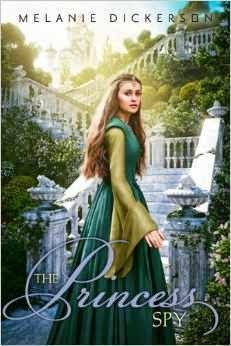 There's adventure, a bit of romance and more than a bit of bravery involved as Colin and Margaretha race to save themselves, her family and her father's entire kingdom. In some ways, I felt as if it were a coming of age story as Margaretha finds her true self that was buried under all of the teasing that was done by her family. My suggestion? If you have an up and coming reader or if you yourself enjoy a twist on an old story, check out this series of books by Melanie Dickerson.